Google has decided to clean the house by retiring one Chromebook Pixel model that has been around for quite a while. The US tech giant has decided to get rid of the USD 999 model, which includes an Intel Core i5 processor, 8 GB of RAM and 32 GB of internal memory. Google will keep on selling the more powerful Chromebook Pixel model, which retails for USD 1299. This notebook comes with an Intel Core i7 processor, 16 GB of RAM and 64 GB of internal memory but given the fate of the cheaper model, this one may get the axe too soon. The USD 999 model now cannot be found on the Google Store but if this Chromebook is your thing you may be able to find it on some other online store. The retired model will soon be replaced the just announced Chromebook 13 by HP. This notebook comes with pretty much the same specs – an Intel Core i5 processor, 8 GB of RAM, and a 32 GB SSD, but offers a lower price of just USD 499. 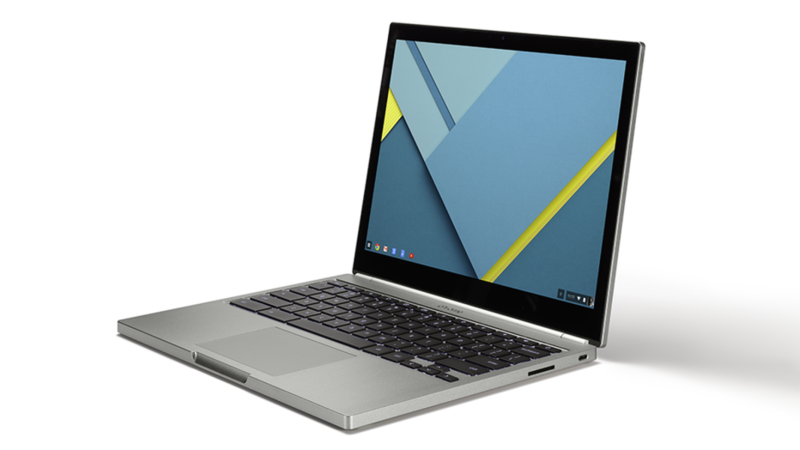 In fact the Chromebook 13 might be the reason why Google retires the USD 999 Chromebook Pixel.